On July 14, 2015, the Center for Medical Progress (CMP) released its first undercover Planned Parenthood video, blowing the whistle on the abortion industry’s practice of illegally harvesting and selling the body parts of aborted babies. Just 17 days later, the National Abortion Federation (NAF) filed a lawsuit against CMP and ultimately secured a preliminary injunction against lead investigator and CMP founder David Daleiden. The injunction prohibited him from releasing any footage obtained during NAF conferences and meetings, which David had attended undercover with the goal of exposing illegal activity by the abortion industry. Fast forward almost two years—and the lawsuit is still ongoing. Meanwhile, Daleiden’s footage from the NAF conference remains under lock and key, leaving some to wonder what secrets NAF is trying to hide. 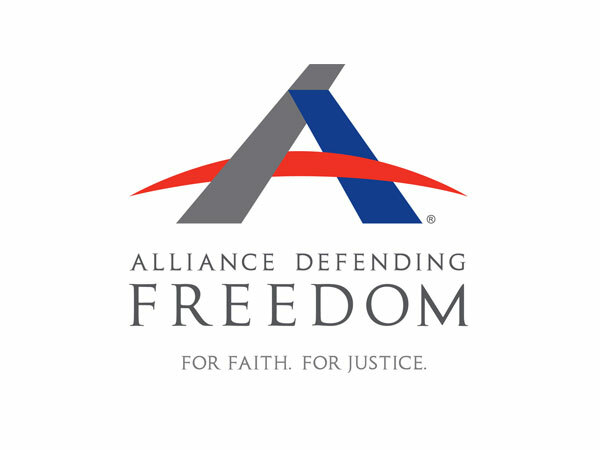 Today, ADF attorneys filed a friend-of-the-court brief with the U.S. Court of Appeals for the Ninth Circuit in the case of National Abortion Federation v. Center for Medical Progress on behalf of the Susan B. Anthony List Education Fund. The brief asks that all of the Ninth Circuit judges rehear the case against Daleiden and reverse a district court’s decision that unconstitutionally silences Daleiden’s freedom of speech. NAF’s case banks on the fact that Daleiden signed a confidentiality agreement when entering the conference that prohibited any recordings. Just one problem. There are both public interest concerns and First Amendment violation concerns that far outweigh whatever Big Abortion is trying to keep under wraps. Daleiden in no way saw signing this confidentiality agreement as a waiver of his constitutional rights. He entered the conference with the clear goal of shooting undercover investigative footage of the inner workings of the abortion industry. If illegal activity was discovered, as Daleiden claims it was, he has every right—if not an important responsibility—to share this information with the authorities, regardless of any confidentiality agreement. But it’s not just the authorities who are on a need-to-know basis here. If the abortion industry in America is breaking the law and profiting from selling the remains of aborted babies, should this not concern all of us? Preventing Daleiden from exercising his First Amendment rights prevents the public from collecting important information and making informed decisions about the abortion industry. For example, do we want to be giving an organization, such as Planned Parenthood, more than $500 million in taxpayer dollars each year if they are actively breaking the law in this grotesque way (among other things)? Do we want to look the other way as a nation while a billion-dollar industry continues to profit off the innocent? Don’t the American people—especially the girls and women who are targeted by this industry—deserve to know the truth about the people who are killing their babies in the womb? The abortion industry’s interests should never outweigh public concerns or First Amendment rights. The Ninth Circuit should re-hear this case and uphold David Daleiden’s freedom of speech. Sign up for our email newsletter to receive updates on important sanctity of life cases.